Welcome to the IslandWood Garden! : The Sun is Out! It is a beautiful, sunny day here at IslandWood and our bees are making a grand appearance. 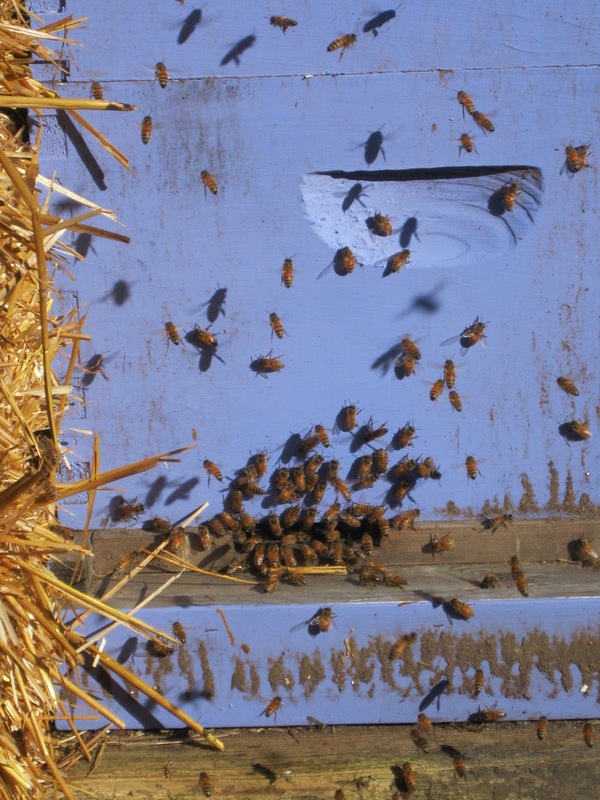 They seem to love the sun, and are enjoying time out of their hive to soak it up. I guess we have that in common! One of the hives appears to have lower numbers, but some bees were coming out of this today hive so they are still alive. We are hopeful they can all make it through the winter...Check out our awesome bees, it is so nice to know they are still with us.